Nick Bacino is raising money to pay for uninsured medical expenses associated with his kidney transplants and other health issues. He was diagnosed with kidney failure at the age of 5 and received a new kidney from his mom in December of 2003. He lives in Flower Mound, TX and is being treated at UT Southwestern for his third kidney transplant. 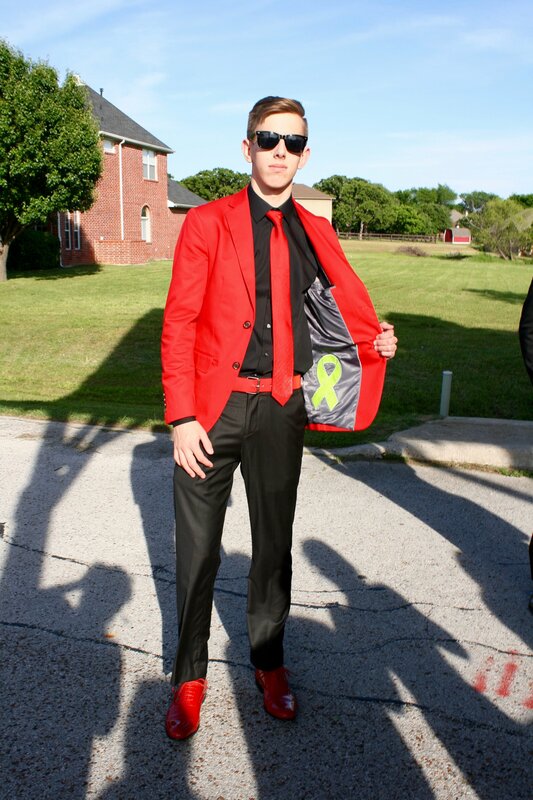 Unfortunately Nick’s kidney started to fail when he was 16 and and he had to go on hemodialysis in January of 2015. In February 2015, Nick was diagnosed with PTLD, a form of lymphoma, that needed to be treated before the kidney transplant can occur. He needed to stay cancer free for 2 years before we could proceed with the transplant. On June 16, 2017 Nick was given a renewed gift of life with a new kidney! We thank that donor’s family immensely for the generosity they have shown by donating their loved one’s organs. Unfortunately, Nick’s new kidney never recovered from the rejection episode in December 2017 and we are starting the kidney transplant process again. His sister is willing to be part of the paired organ program so we are hoping for a possible living donor transplant. Engineering so that he can make life better for transplant patients. We have chosen to fundraise with Help Hope Live in part because Help Hope Live provides both tax-deductibility to the full extent of the law and fiscal accountability to his contributors. Contributors can be sure that funds contributed will be used only to pay or reimburse medically-related expenses. Our first transplant appointment with UT Southwestern is October 11th! We will be starting the transplant process again. We are moving from Children’s to Dallas Transplant Institute since Nick is an adult now. Unfortunately we are having to start the transplant process again. Our goal is to have a donor before he needs to start dialysis. Nick had a small bout of rejection that looks like is reversing now. There is a balance between keeping his immune system suppressed enough not to cause rejection and not suppressed enough for his body to fight off the BK Virus. The last change in medicine didn’t work – his body rejected the kidney rather than fight off the BK virus. Nick is doing great! It is 2 months post transplant and things couldn’t be better. He completed his first college class with an A and is looking forward to fall semester. He will be able to go away to school next fall. Thank you everyone for your love, support and prayers. We still have a long road ahead of us but so excited to have a new gift of life! Our thoughts and prayers also go out to the family that was generous enough to gift Nick that gift of life when they lost a loved one. Nick received a kidney on June 16, 2017! Another donor was tested and was negative for one of the antibodies but positive for the other. Still in search for a kidney! We are still testing for living donors and waiting for a call that a kidney has come in from a cadaverous donor. Either way is fine with us! Friday Delaney was tested and today we found out she cannot donate to Nick either. He is still Status 1 so a cadaverous kidney can still come in for him. We found out Nick is Cancer Free and we can start the transplant process again! Unfortunately March 2017 we found out that Tanner is not a complete match for Nick and cannot donate. Delaney has asked to be tested next. 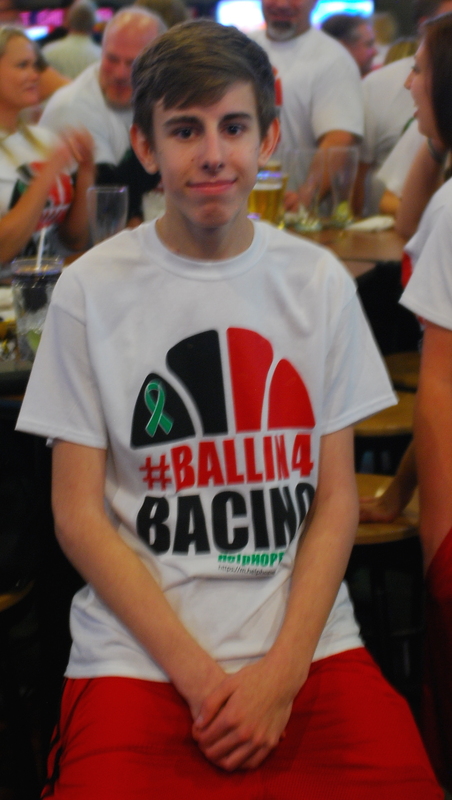 Monday, February 13th Nick will have another PET scan to see if the cancer is still gone. If that comes back clear then we are on track to do the transplant ASAP! There is a light at the end of the tunnel! 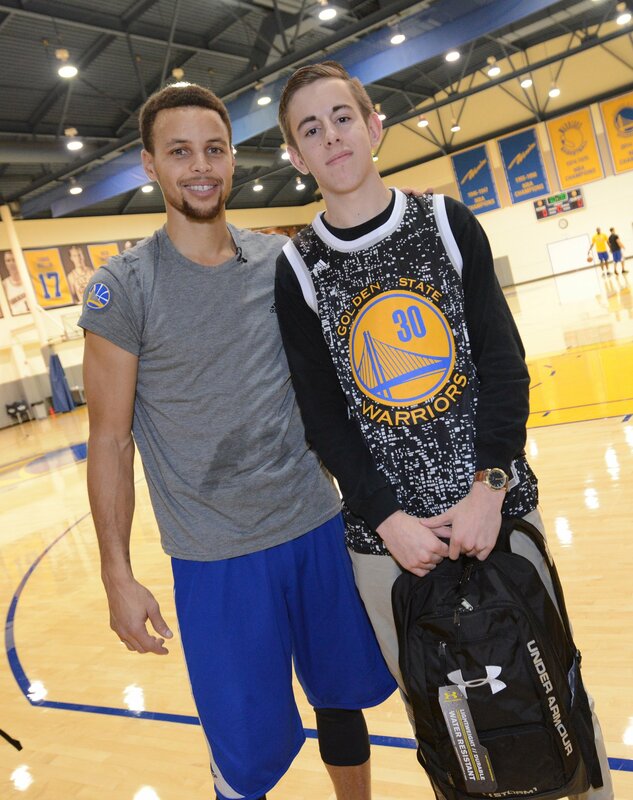 Last December Nick was granted a wish with the Marty Lyons Foundation www.martylyonsfoundation.org/ and was able to meet Stephen Curry and watch the Golden State Warriors play. We also were able to enjoy a family vacation together in San Francisco. It was a lot of fun! We are very grateful the the Marty Lyons foundation for that opportunity! Now we are moving forward and have been approved to proceed with the kidney transplant aiming for February 2017 which will mark Nick being cancer free for 2 years! We received word from the Dr. that we will be doing dialysis for another year. Research shows that waiting two years after the diagnosis of the PTLD has the least affect on the transplant and should be long enough for the cancer not to return once he is back on anti-rejection drugs. This is disappointing to Nick but at least we do see a light at the end of the tunnel. Nick had his hemodialysis catheter removed last week and his fistula is working beautifully! He was able to wake surf and swim at his friends lake house which he hadn’t been able to do for 9 months with the catheter in. He even went to open gym and played basketball this week. Nick is able to be a little more “normal” with his fistula. Praise God! Nick has finished his last infusion for the lymphoma. Now we are just in a holding pattern – making sure it doesn’t surface again and doing hemodialysis 3 times a week. Nick has been diagnosed with PTLD, a form of lymphoma. It is currently only in his throat and is being treated. His kidney transplant is on hold until this is treated fully. We have tentatively scheduled Nick’s transplant for March 2nd. Fortunately his older brother Tanner is a match and will be the donor! Nick celebrated his 10 year transplant Anniversary in December 2013. Unfortunately now at the age of 16 his kidney is starting to fail and he is in need of another transplant. We are in the process of evaluation right now and will soon be testing for living donors. 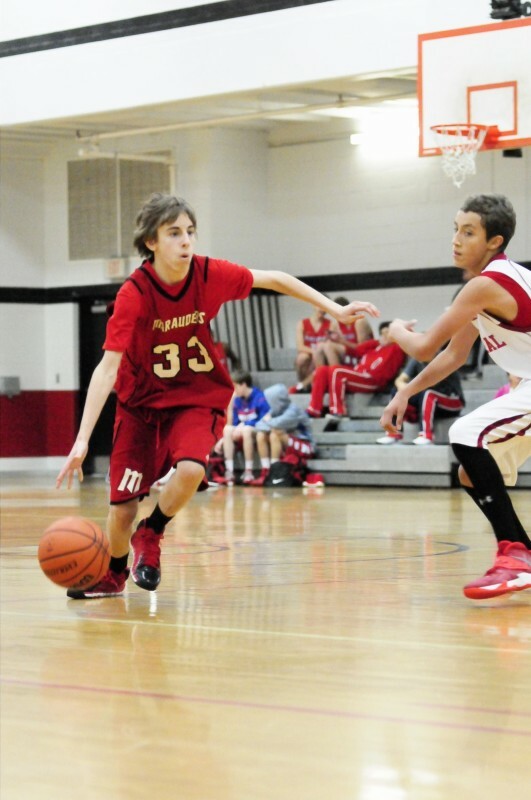 We are hoping he will be back to playing basketball by the fall of 2015! Love you Nick! We continue to pray for you daily!!! Wishing you the best! You are an amazing young man, stay strong and journey on..
You've got this! Keep your spirits high and everything will work out. We're praying for you.